The fully retractable and safe knife. Fully retractable, safe #1 knife. Soft, comfortable grip with triangle shape for extra control. 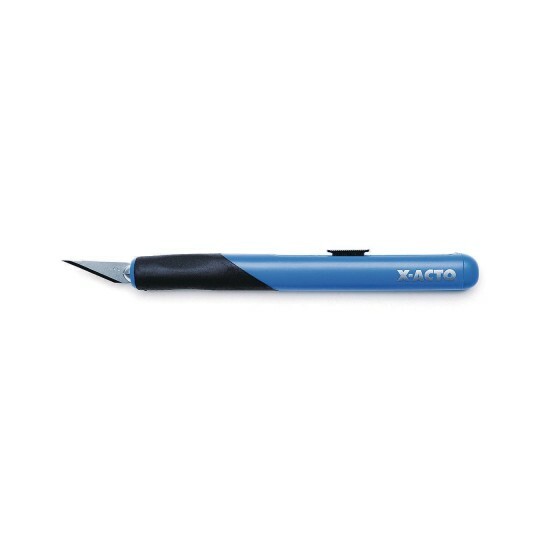 Perfect for delicate, precision cutting, trimming and stripping. 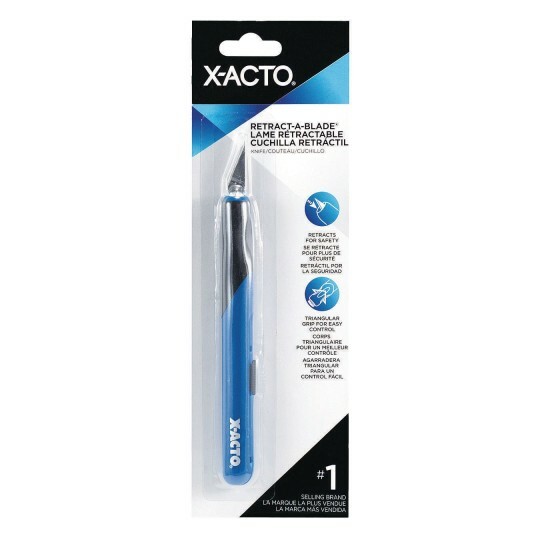 Easily cuts paper, plastic, balsa, thin metal, cloth, film and acetate. Includes #11 classic fine point blade that is easily replaceable. Anti-roll handle keeps the knife from rolling off work surface.